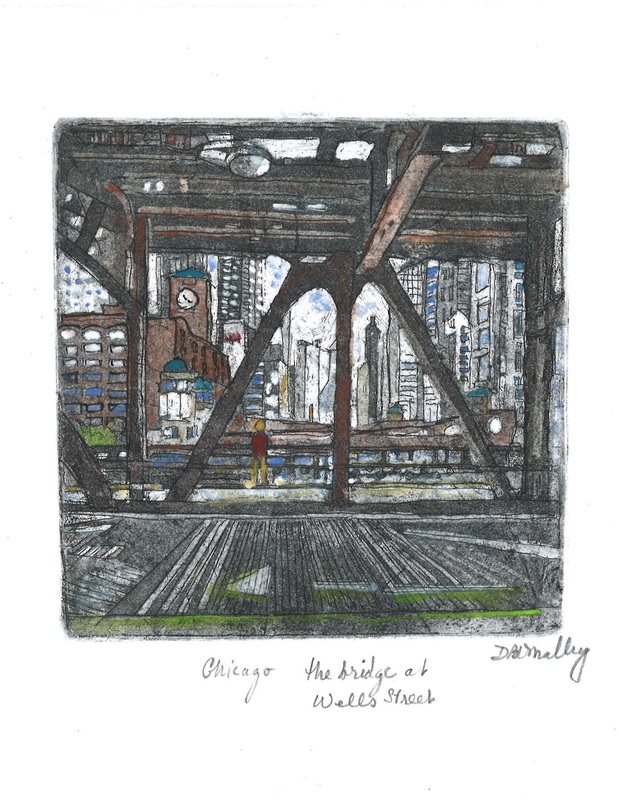 Two New Etchings from my series "On the Chicago River" are on sale at Sawbridge Studios in Hubbard Woods. 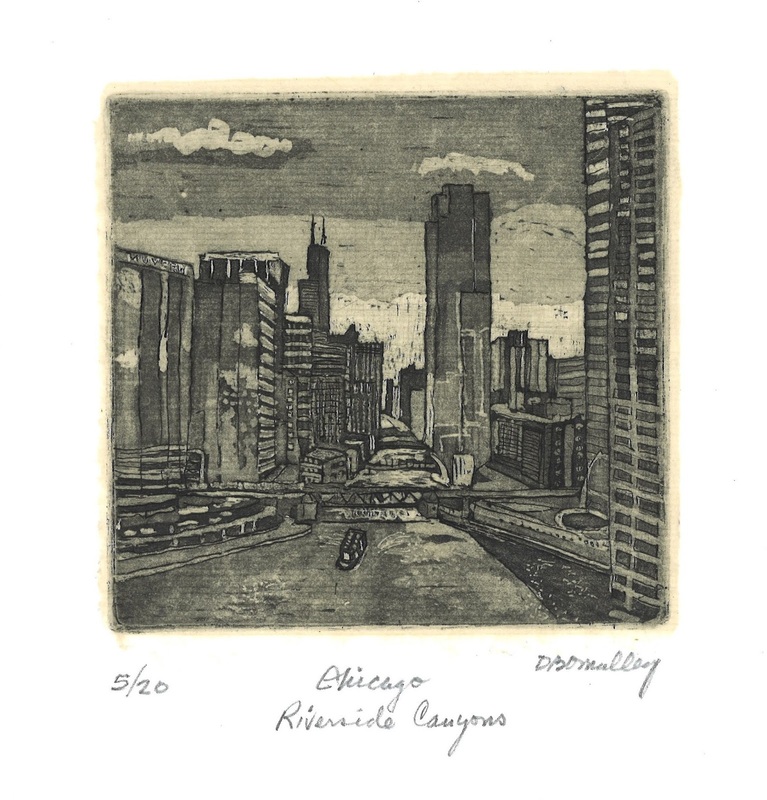 Each limited edition etching is framed to 10" x 10" in light mahogany wood. This etching shows the "canyon of skyscrapers" on the river from Wolf Point at Wacker Drive and Franklin Street. 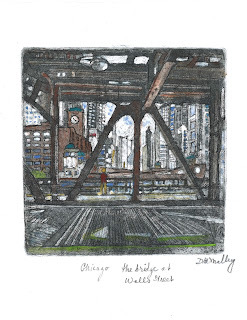 One etching depicts a view of the skyscrapers from the pedestrian walkway under the "L" at Wells Street.